Delta Air Lines, Inc. (NYSE:DAL) posted a loss of $712 million on fuel hedge settlements in its fourth quarter results, although the carrier beat analysts expectations. Adjusted pre-tax profit is at $1 billion for the quarter, bringing the annual pre-tax profit at $4.5 billion. Revenue soared by 6 percent by the quarter to $9.65 billion, above analysts expectations of $9.58 billion. PRASM (Passenger revenue per available seat mile) improved 0.8 percent. Non-fuel cost increased 0.5 percent, while fuel costs declined $343 million year on year, after accounting for $1.2 billion on hedge settlements for the quarter. The carrier’s refinery unit also turned in an amount of $105 million in profits. 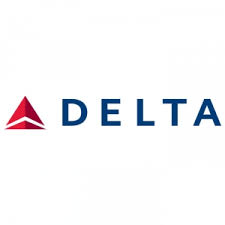 Excluding special items, Delta Air Lines, Inc. (NYSE:DAL) realized an earnings of $649 million, at $0.78 per diluted share, a cent higher than analysts estimates as per Thomson Reuters I/B/E/S. Passenger revenue was up 4.6 percent to $8.24 billion compared to the same period the previous year. Although Delta Air Lines, Inc. (NYSE:DAL) had to endure the adverse effects of falling oil prices on its fuel hedges, it is expecting to make a gain out of lower fuel expenditures in the coming months. “As we begin 2015, we have a significant opportunity from lower fuel prices, which will drive more than $2 billion in fuel savings over 2014,” said Delta CEO Richard Anderson. An operating margin of 11 percent to 13 percent is expected in the first quarter. Fuel prices is expected to range from $2.45 to $2.50 per gallon. Delta Air Lines, Inc. (NYSE:DAL) paid $2.62 on average per gallon of fuel in the fourth quarter. “These jet fuel savings are enormous, and we are diligent at maintaining those savings for the bottom line,” CEO Richard H. Anderson said before analysts on Tuesday. Following the release of quarterly results, shares were up by as much as 0.4 percent to $47.40 per share during pre-market trading.